Hi Everyone and Happy Sunday! This beautiful warm weather here in Minnesota has inspired me to write a blog post about ways to lift your mood. There have been many times over the past 11 years living with Epilepsy that I have found myself in quite a funk. Sometimes, I have been able to pinpoint why I’m upset. Maybe I just lost my drivers license again or maybe I am feeling like I’m a burden to others and I never get just one minute to myself. Other times, I haven’t really been able to figure out why I’m upset, I just AM. So, when these moods happen, it’s important for us to be able to pick ourselves back up and put ourselves in a better mood. Helping ourselves gain perspective and see the big picture can go a long way to feeling much better about our situation. 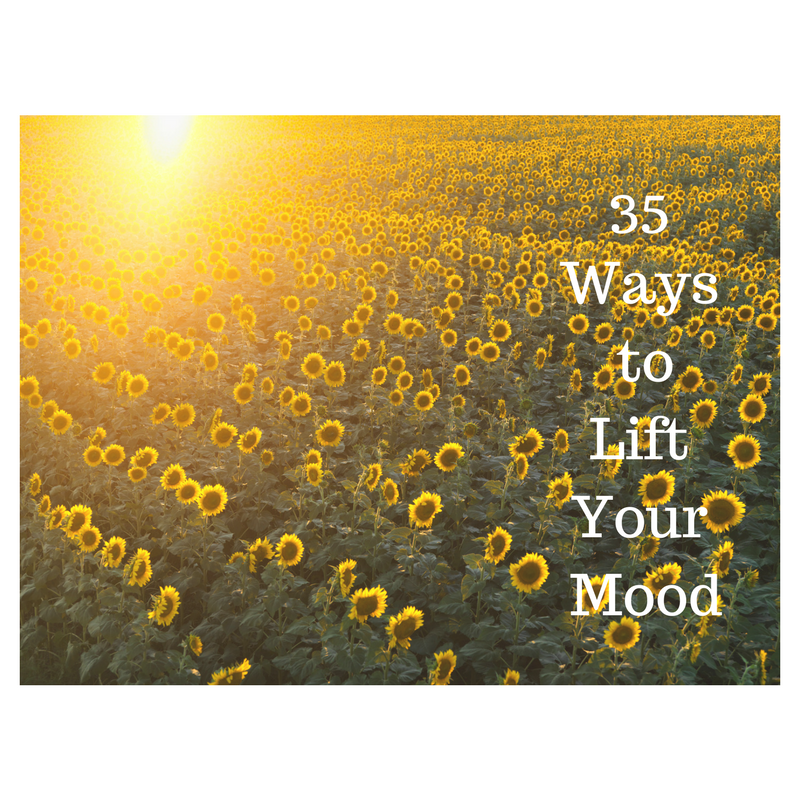 So, here is the list I came up with of 35 Ways to Lift Your Mood! Do you have any other suggestions for ways that you lift your mood? I’d love to hear what you’ve come up with! Contact me with any suggestions you have and don’t forget to Seize The Day!